Did that and the problem is gone. Thank you! Me too, I would really like to see this implented. I always use(d) the companion files configurations in the .ini when I work(ed) with the trad. XnView. Topic: Request: Exclude a category in the "Categories Filter"
Re: Request: Exclude a category in the "Categories Filter"
Request: Exclude a category in the "Categories Filter"
m.Th. wrote: If you generate these files from within XnView is not needed because the DB is in sync. I could send you nef files but, in the meantime things got more complicated. Under Linux now the thumbnails are no longer turned (and I don't know what I changed) but under Windows they are still turned. So I think it is not really a matter of my files. If you want one anyway, no problem. 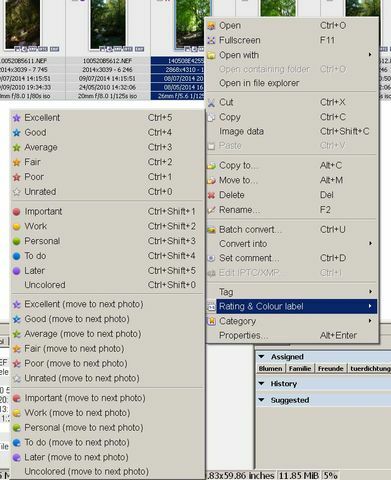 for one or more .NEF files with potrait orientation, the thumbnails of these files are sometimes turned 90° to the right. m.Th. 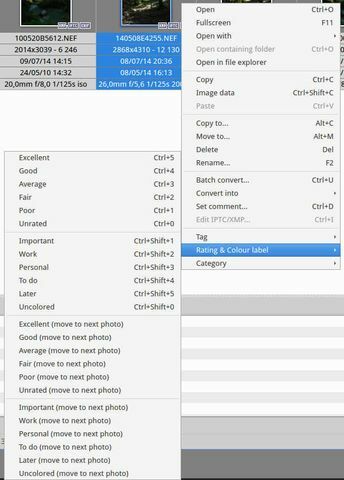 wrote: Try adding some keywords and/or rating and/or color to your RAW file(s). I tried that, but I'm not able to add keywords to my RAW files. How do you do that?